← Back to School Means It’s Time for New Technology! With a new academic year quickly approaching, it’s a great time to get involved in all the activities your school has to offer. The High School Video Network promotes student involvement by giving schools their own unique channel to post videos of students in action. Every video posted shines a spotlight on a particular club, team, or event, and strengthens the bonds between schools, students, and the community. And the best part is that anyone in the school can get involved in the action—teachers, students, parents, and even alumni. All you need is a camera, phone, or any device that can record video. It’s a great way for students interested in film and media to get valuable hands-on experience, and help out their school while doing it! Here are some of the exciting and diverse videos currently on the HSVN site. This behind-the-scenes look at the Granada High Dance Team illustrates the positive influence these girls have over each other and over the school community. And their boundless energy will get anyone pumped for a new school year! Click here to watch the talented Michelle Lee take the spotlight in this inspiring musical performance at Dublin High. The powerful public service announcement about internet censorship illustrates the strong influence the Web has had over our lives in the new generation. 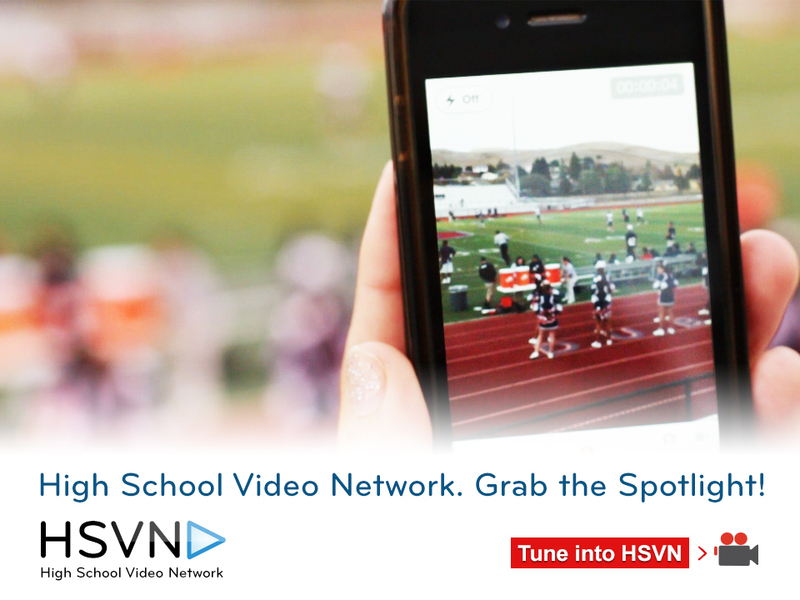 The High School Video Network is easy, fun, and a great way to foster school spirit. So grab your device and start recording—it’s that simple! Click here to learn more about the HSVN and how your school can get involved.